With conventional hand reamers the extracted juice needs to be strained before use, to remove any unwanted pips and fruit pulp. The design of the catcher helps eliminate this problem with its soft rubber cup underneath the reaming head, which catches any debris whist allowing juice to drain through. 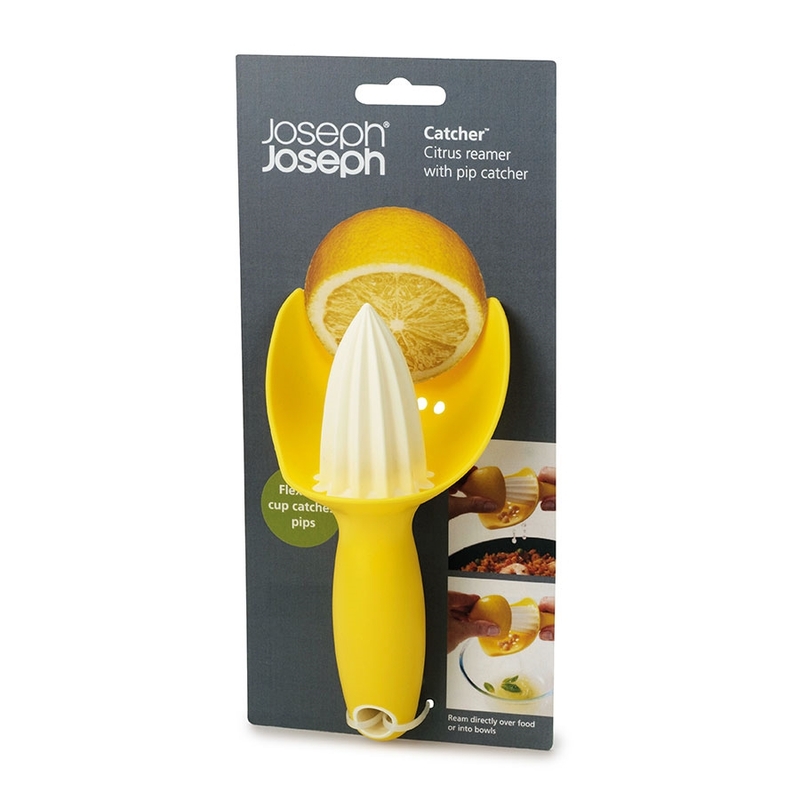 Perfect for all kinds of citrus fruit. Dishwasher safe.